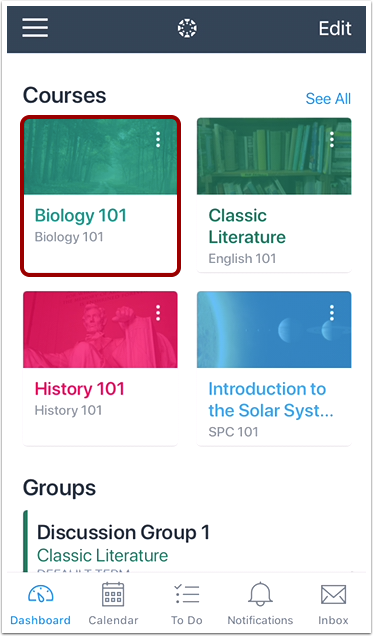 How do I view Discussions in the Student app on my iOS device? 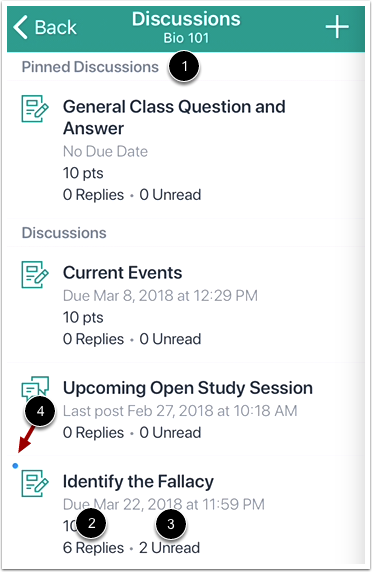 The Canvas Student app helps you keep track of all course discussions. You can also view newly created discussions or changes to discussions in the Notifications tab. 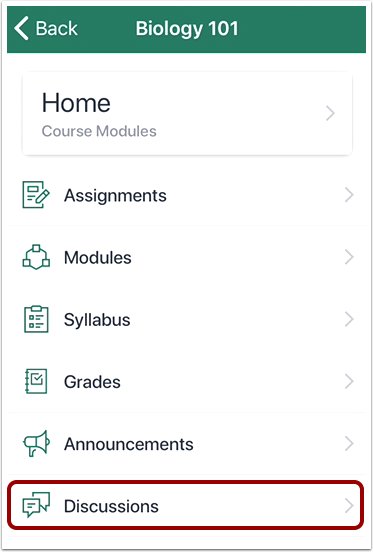 The Course Navigation menu matches the browser version of your Canvas course. If Discussions is not available in Course Navigation, it will also be hidden from view in the app. 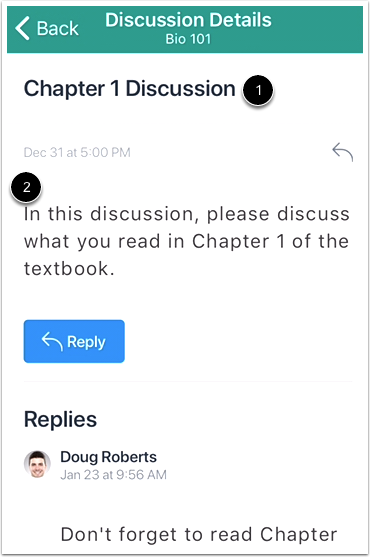 Viewing rubrics in graded discussions is not supported in the app. Note: You may need to swipe your screen to view the Discussions link. Pinned discussion will always display at the top of the page . For each discussion, you can view the number of total replies  and the number of replies you have not read . Discussions with unread posts are indicated by a blue dot . For each discussion, you can view the title  and description . Replies can be viewed below the discussion topic. To view all replies, swipe your device screen. 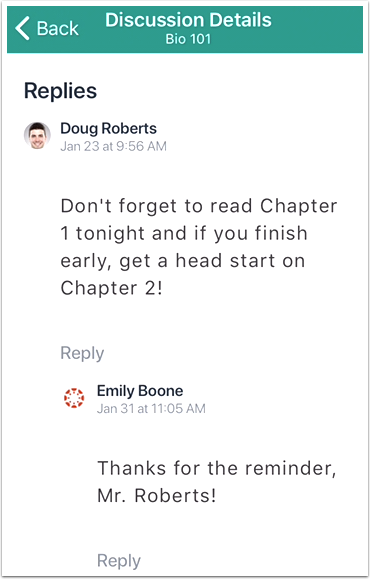 Previous Topic:How do I schedule a reminder for an assignment in the Student app on my iOS device? Next Topic:How do I add annotations to a submission in the Student app on my iOS device? Table of Contents > Course Features > How do I view Discussions in the Student app on my iOS device? Re: Discussion Rubric in App?